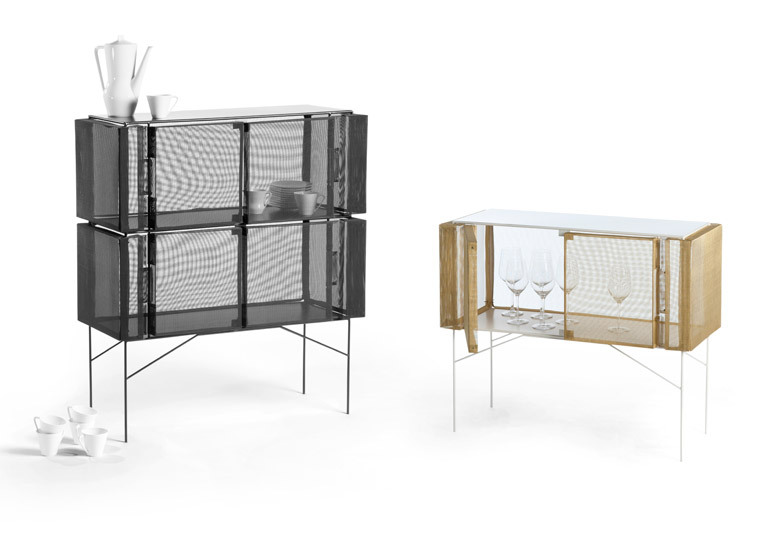 Dutch Design Week 2014: these cabinets by German designer Meike Harde are made from wire cages to create a "protective environment" for delicate items stored within (+ slideshow). 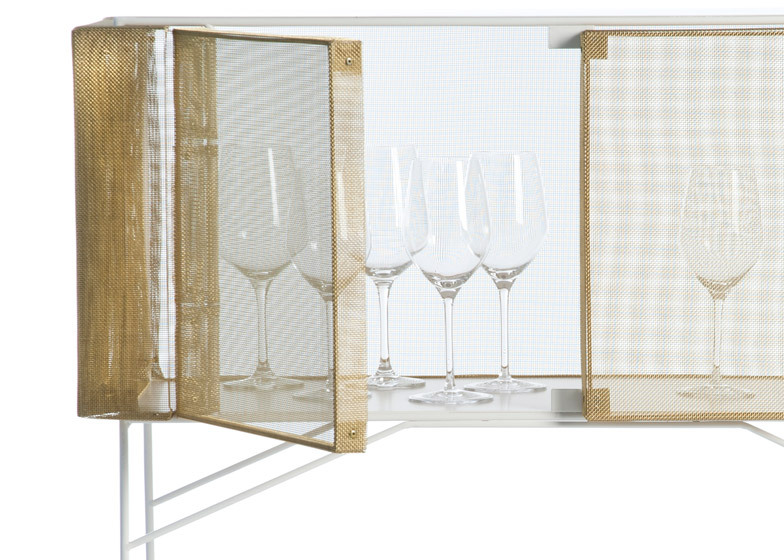 Meike Harde forms the storage compartments of her Hybrid Cabinets from finely woven brass or blackened steel wires. 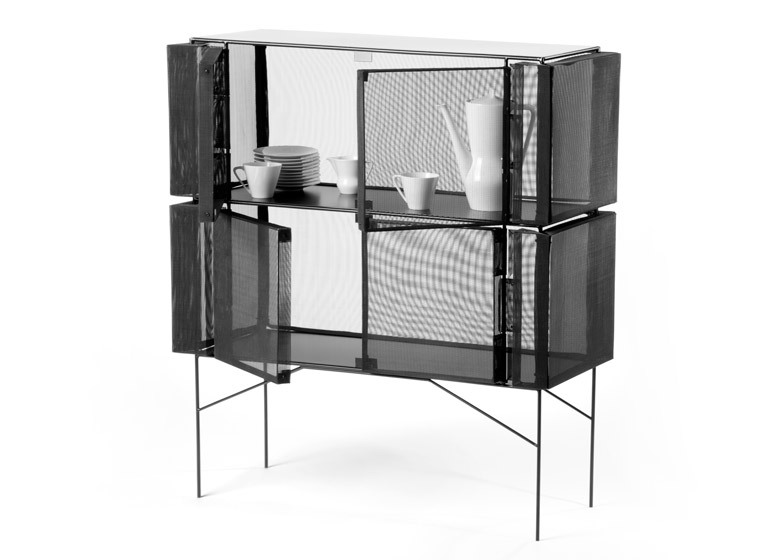 "The Hybrid Cabinet imitates a vitrine and provides an opportunity to store valuable objects in a new context," Harde told Dezeen. "These objects want to be shown and protected at the same time. 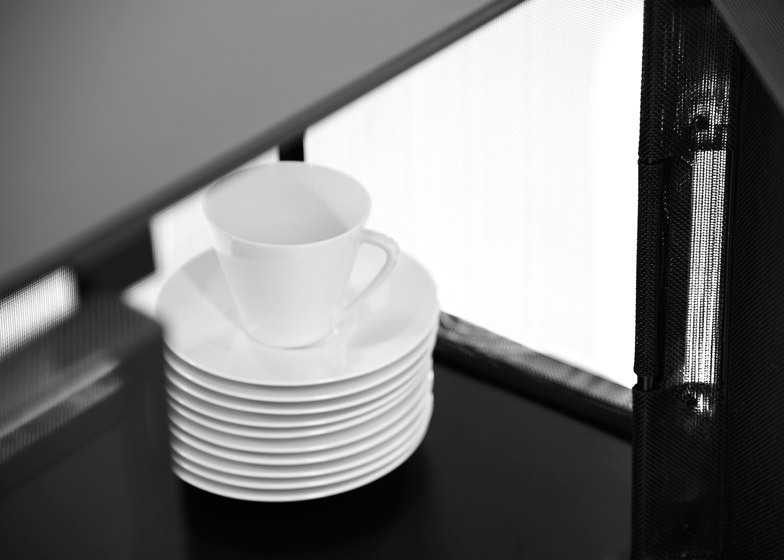 High-class ceramic or glass objects have mostly an aesthetic value and don't want to be hidden in a common cabinet but displayed in a protective environment." The interwoven wires behave like sheet metal – rigid when flat and strong when angled or crimped, but also supple enough to be bent by hand into three dimensional patterns. "The material offers new construction possibilities and through its transparency can be easily applied as front parts for vitrines," said the designer. "The name Hybrid was chosen deliberately. 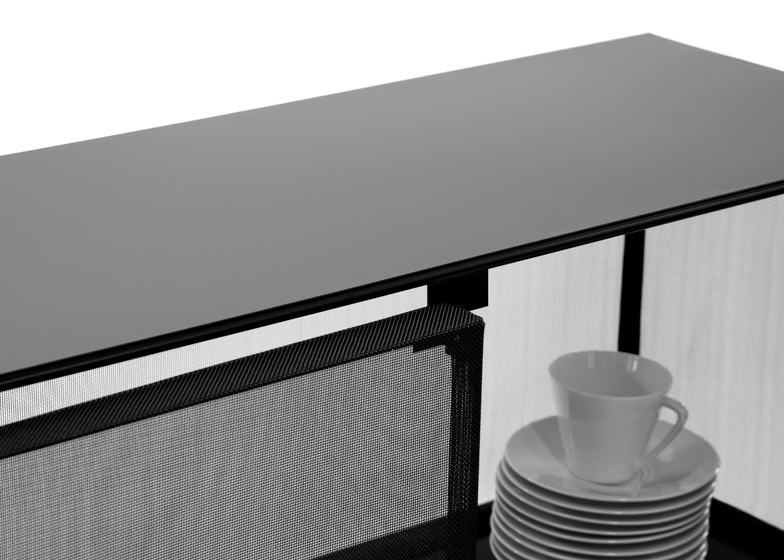 The material combines characteristics of sheet metal as well as textile qualities. 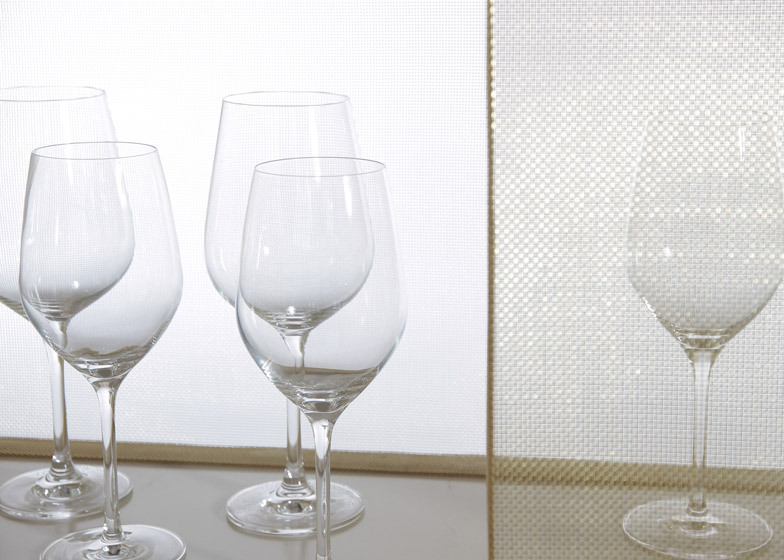 It also provides a very soft transparency and gives a diffused view of the inner objects." The material – more commonly used in architectural projects – is made by machine-weaving wire into a flat mesh, which is then cut and edged using a sheet-metal bender. 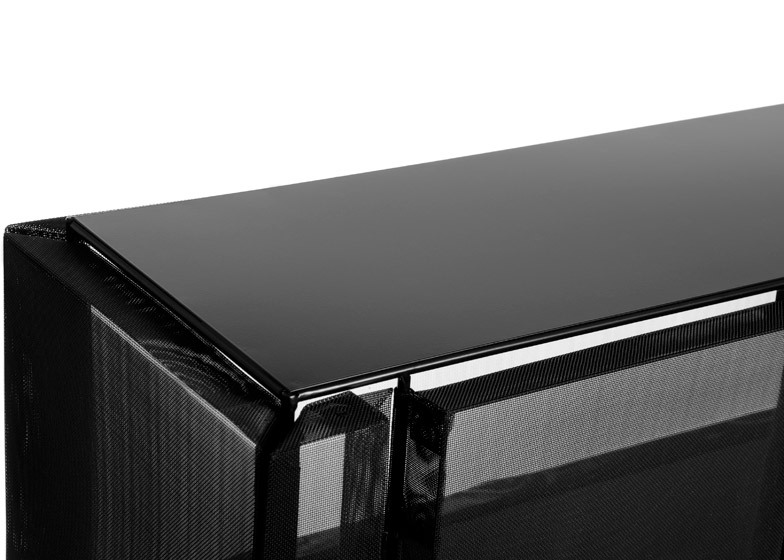 Its flexibility allows for the integration of functional requirements such as the door hinges, which are machined in the same material and embedded into the cabinet's wall. 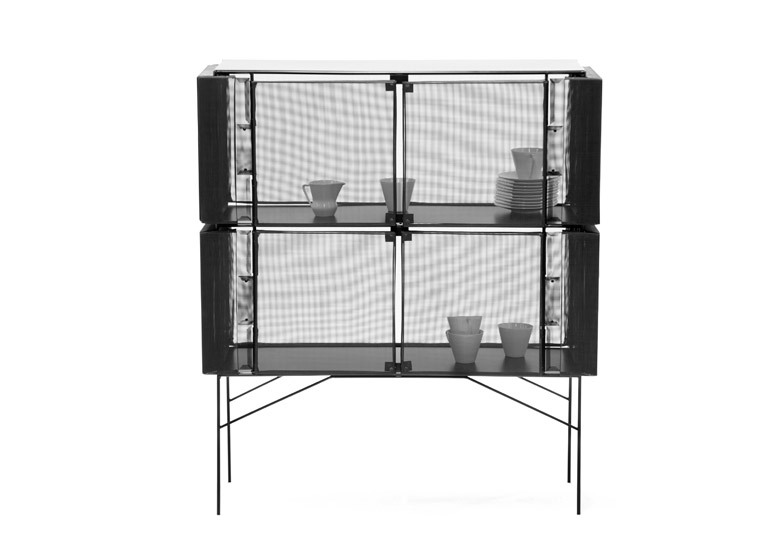 The Hybrid Cabinet stand on thin metal legs and comes with single compartment or stacked as a double layer with a dividing shelf in between. 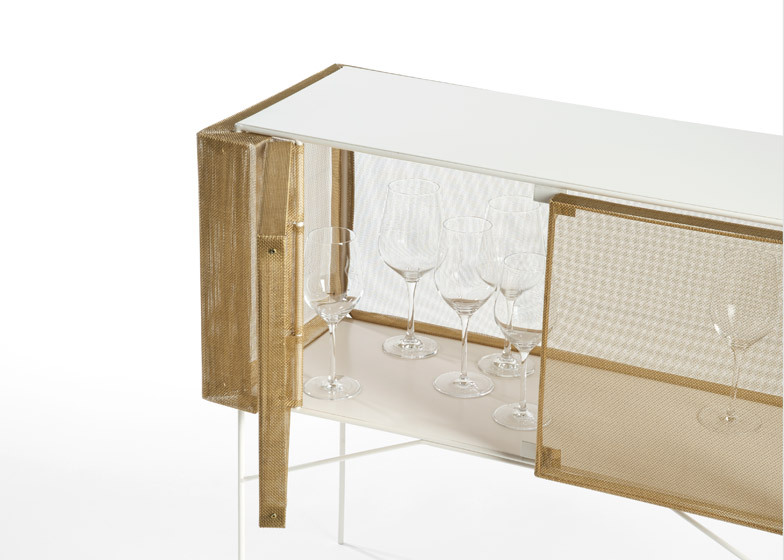 The cabinet was first exhibited in Milan earlier this year and was on display during Dutch Design Week, which took place last month. Meike Harde's previous projects include the London series of bedroom furniture made by stretching different fabrics over metal frames, and range of upholstered benches and stools made by folding foam mats and fixing them to wooden frames with elastic bands.